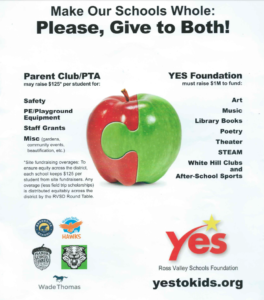 Make Our Schools Whole: Please, Give to Both! You are here: Wade Thomas Parents Association > Programs > All Posts > Featured > Make Our Schools Whole: Please, Give to Both! Hearing a lot about donating lately? Here’s a handy flier to help you navigate the funding of your child’s education!